Russian Video: Mother for a little mammoth (cartoon)! 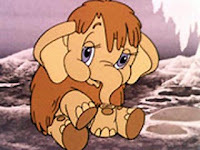 Today we are watching a cute and touching old Soviet cartoon “Mother for a little mammoth”, 1981 with English subtitles. Once, a little mammoth cub melted out from ice in the Arctic… and since he was a very little mammoth cub he wanted to find his Mommy. Because, he truly believes “It’s not possible for children to be lost” (Ведь так не бывает на свете, чтоб были потеряны дети). Director of this animation movie is Churkin Oleg. This entry was posted in Cartoons on July 30, 2009 by admin.